Dairy Cottage at Pen y Ffrith is beautifully decorated, furnished and equipped to the highest standard. This property was converted from a former farm building to provide spacious and comfortable accommodation – a real home from home. 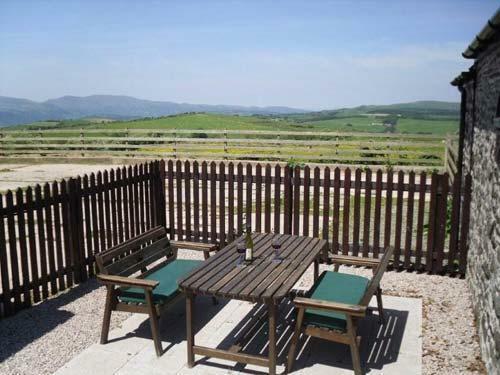 Located on a quiet no-through lane this is an excellent base to explore North Wales. 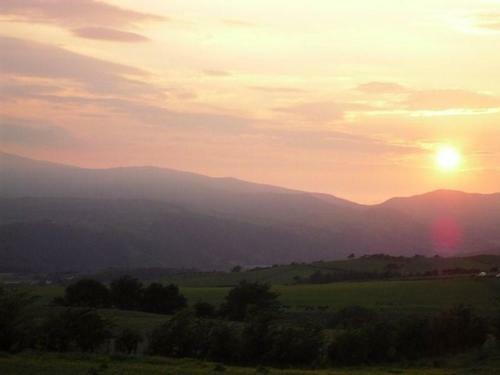 The panoramic views of Snowdonia from the lane will take your breath away, as will the spectacular sunsets – weather permitting of course. 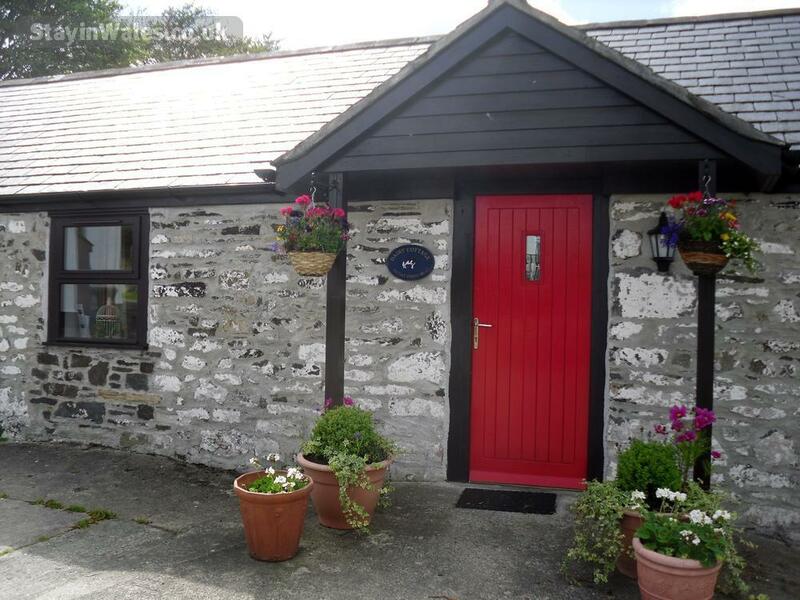 I moved to Pen y Ffrith in 2004 and have lovingly restored and renovated Dairy Cottage to a standard that I would be happy to call 'home'. 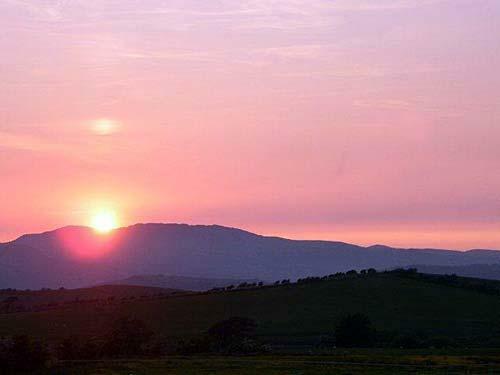 I consider myself privileged to live in such a wonderful and rural, but not remote - amazing views, awe inspiring mountain vistas and endless walks. 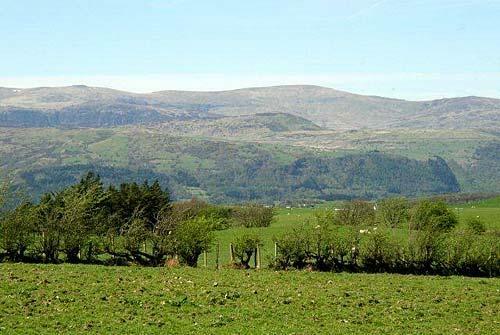 I hope that I can welcome you here so that you can also enjoy the peace and quiet, the magnificence of Snowdonia and all that North Wales has to offer. 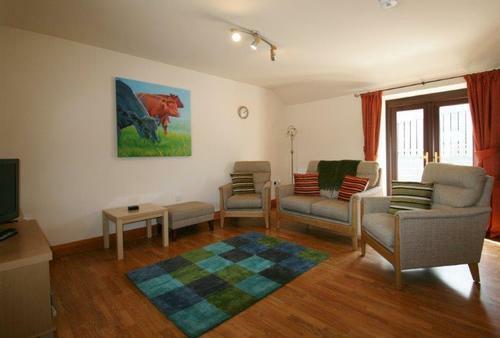 Dairy Cottage has a large enclosed patio / garden area - safe for children and pets. The garden backs on to the stable yard, so if the horses are around you are sure to have a visitor at the garden fence. A spacious lounge, dining and kitchen area with full size gas cooker, microwave, dishwasher, refrigerator, freezer and a full range of crockery, cutlery and cooking utensils. TV with Freeview and DVD player. 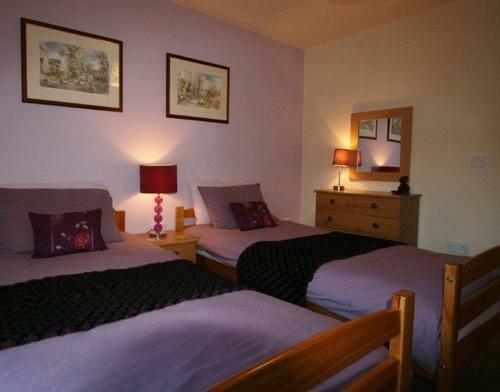 Two spacious bedrooms (one double and one twin). 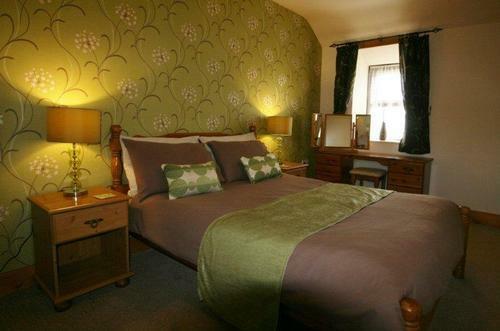 Price includes all bed linen - towels are provided for stays of 4 nights or more. 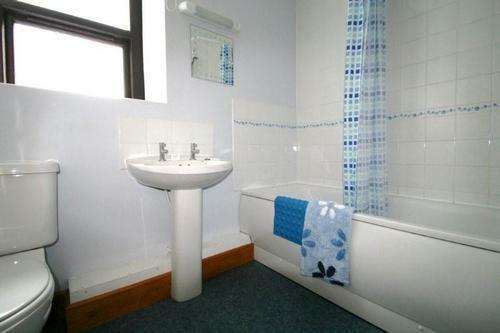 A modern well fitted bathroom with shower over the bath. 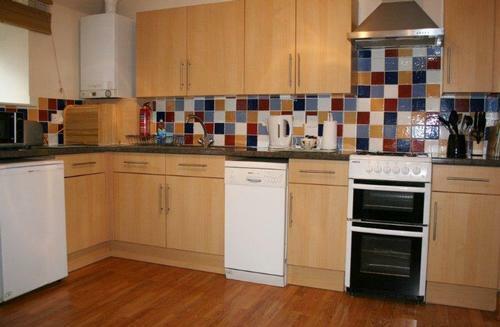 Double glazed with full gas central heating. All of our properties are fitted with smoke and carbon-monoxide detectors. Up to two pets welcome free of charge. Pets are always welcome. Cots and high-chairs are available upon request. 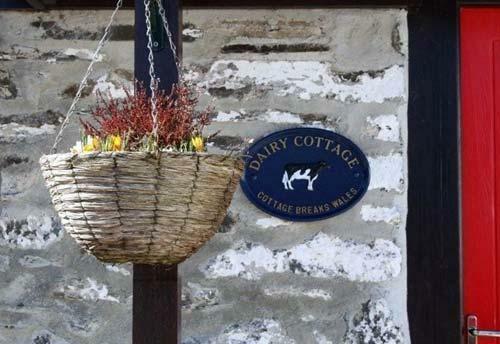 Dairy Cottage is in a quiet location away from the crowds of tourists yet within easy reach of the friendly market town of Llanrwst for shops and the popular village of Betws y Coed – an ideal place for eating out. If you want to stretch your legs and lungs in serious scenery this is the place to come. 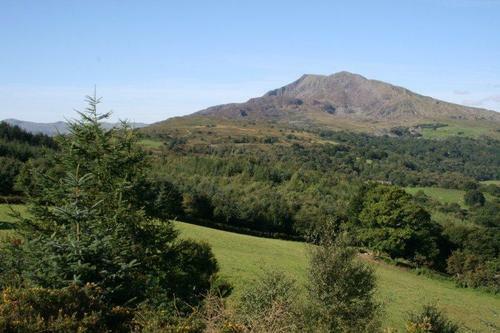 You are just a few minutes' drive from mountain biking trails, Snowdonia's mountains, white water rafting, dry ski slopes and golf courses. North Wales also offers an abundance of family attractions, castles, delightful towns and villages, steam trains and beaches. 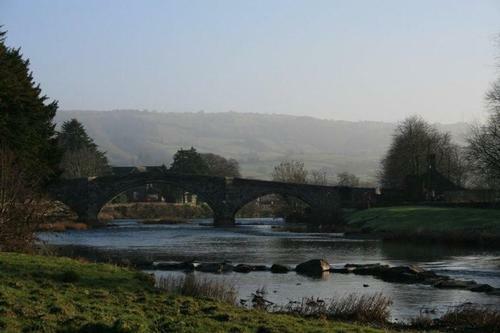 The beautiful lakes and rolling hills provide a tranquil setting for more relaxing walks or take a stroll through the magnificent Bodnant Gardens. 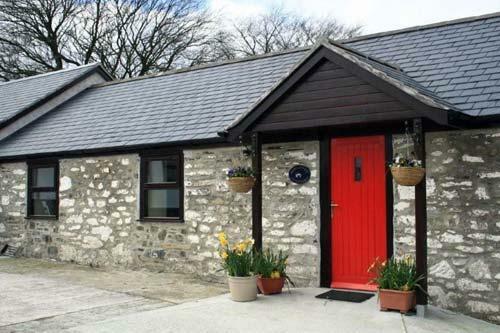 Whichever you choose, this is the ideal place to stay; outstanding accommodation in a superb location, surrounded by the stunning scenery of Snowdonia. 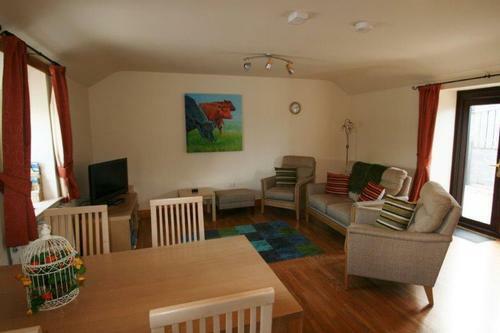 This property has a Friday start for full-week bookings. To secure your booking we require a deposit of £75 and the balance paying in full at least 30 days prior to your arrival date. If you are booking less than 30 days before your arrival date we require payment in full at the time of booking. You can pay by debit or credit card, or bank transfer.